The www.gummifier.com website is an html 5 based application that was made within the parser.io framework. It is fully multiplatform, it runs in all browsers and mobile phones. On the site you can change the facial mimicry, hairstyle, skin color of the popular Gummibär character, and dress it up into funny clothes. 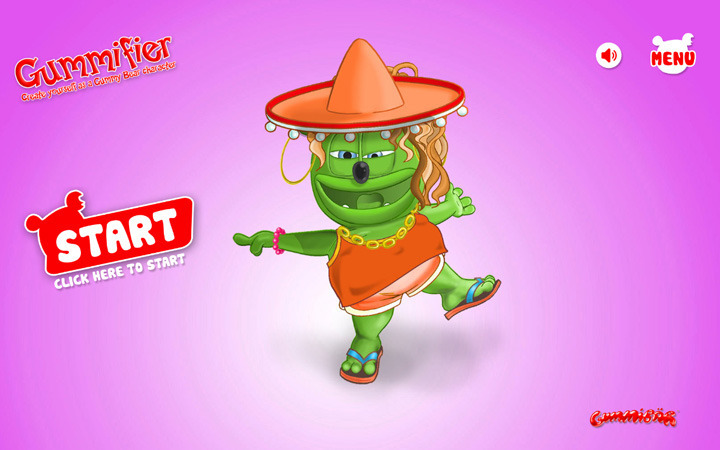 You can make a background image or avatar picture of the readymade character, download it, or share it with friends. Our team has been involved in software development for more than 10 years. Our main goal is providing professional and high quality products and services. This is a basic requirement towards both our own developments and those performed for orders. Members of the project teams all perform experienced, precise, and professional development work. Copyright © 2017 bitOriginal, all Rights Reserved!